Requests to purchase SREC should be made to Dr. Katerina Havranek, khavranek@njoy.com. The SREC can be purchased for use in NIH funded human subject studies that evaluate the use of electronic cigarettes to reduce exposure to more harmful tobacco products. Requests to purchase for any other use will be reviewed on an individual basis by NJOY, LLC. The SREC cannot be used in human studies investigating the treatment of nicotine addiction i.e., studies that have the ultimate of aim of eliminating all nicotine use. FDA considers that such nicotine cessation studies would examine the SREC as a potential medical product. These studies would require Investigational New Drug (IND) approval and at the current time the SREC Product Master File does not meet IND requirement guidelines. When filing the ITP application, you will need to include a Letter of Authorization (LOA) from NJOY, LLC. The LOA indicates that your application has NJOY’s permission to cross-reference the SREC Tobacco Product Master File, which is on file with The FDA Center for Tobacco Products. You should request the LOA when you contact NJOY, LLC, regarding your purchase of SREC. For any additional information, contact either Dr. Kevin Walton, kevin.walton@nih.gov or Dr. Aidan Hampson, aidan.hampson@nih.gov. 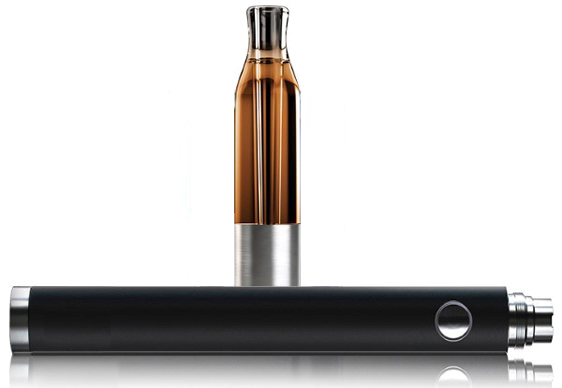 The SREC was developed to facilitate clinical e-cigarette research by developing a standardized device with a data package sufficient to support FDA authorization for clinical investigations. In addition, this project was designed to produce a device with consistent, well-characterized aerosol and demonstrated nicotine pharmacokinetics. More details can be found below. The SREC will be available to support multi-year clinical studies, and it is not anticipated that any modifications will be made to the device. The SREC is not limited for use in NIDA funded studies, although the institute has issued a funding opportunity announcement, PAR-18-220, to promote its use in clinical studies. The SREC may be suitable for use in a wide-range of NIH funded projects. Nicotine exposure was assessed in subjects with commercial unmodified e-cigarettes containing 10-20 mg / mL nicotine (“own device”) on Day 1. Studies were repeated with SREC on Day 3. Subjects abstained from nicotine overnight then completed a 10‑inhalation session over 4.5 minutes followed by 2h abstinence with regular PK blood draws. To help investigators better understand the aims and intended limits on the range of studies to be supported under this FOA, NIDA held a webinar on Friday March 3, 2017. The webinar contained a short presentation followed by a question and answer period to address questions from investigators. Researchers with additional questions can directly email the NIDA Program contacts for the FOA: Dr. Kevin Walton, kevin.walton@nih.gov or Dr. Aidan Hampson, aidan.hampson@nih.gov. We look forward to submission of your grant applications.